When creating a clean and sharp look, finding the best pair of barber scissors is essential. However, tracking down the perfect tools for your trade isn’t always easy. Whether you are just starting out as a barber or consider yourself an old hand, bad shears will do no justice to your craft. 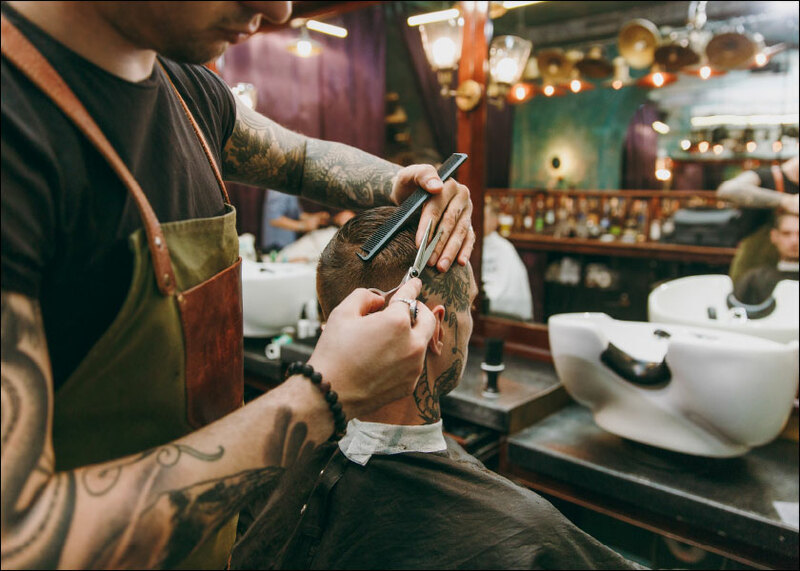 Here at Salons Direct, we stock some of the best professional barbering equipment and supplies, so you’re sure to find the best quality. What Makes a Good Pair of Barbering Scissors? Smaller scissors are better for creating closer, more detailed cuts. Longer blades allow you to cut more hair in one stroke. It also depends on your hand size: the end of the blade should reach the tip of your middle finger if you extend it while holding them. If they are too long, you won’t have enough control over them. Remember, the length of hairdressing scissors refers to the length from the tip of the blade down to the bottom of the handle. 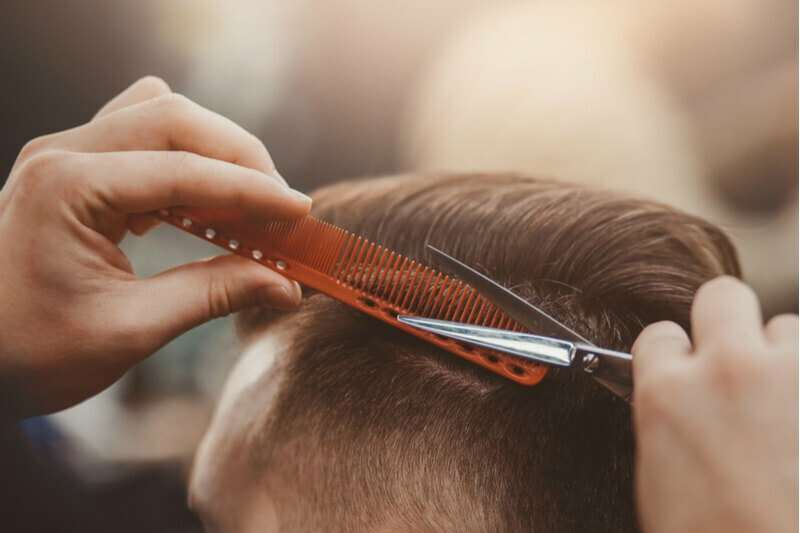 We stock a professional range of barber scissors from 4.5″ to 7.5″, making it easy for you to find a size that suits you. This is what most people focus on when naming the best barber scissors, and for good reason. Poor quality blades will easily become blunt over time and won’t get that crisp finish your client will be hoping for. Offset scissors are best for allowing a natural elbow position and can help reduce strain. However, it’s important to find what is most comfortable for you. Finger rests and handle shapes are a personal preference, while left handed barber scissors are obviously essential if you are left-handed! These professional Kyoto Sprint Scissors offer fantastic value for money. Made from forged steel for the ultimate sharp finish, their offset handle style is comfortable, with a well placed finger rest. The angular design of these Kyoto Phoenix Scissors makes them impressive to look at as well as being a joy to use. They are lightweight with comfortable offset handles and ultra fine blades, so you can create strong looks with ease. The stylish black finish of the Passion Phantom Scissors immediately sets them apart. The steel blades are coated in titanium while the tension adjusting screw makes them adaptable for all types of hair cutting. To see more, take a look at our full range of barber scissors and other barbering equipment and supplies.